Construction World Magazine – May 2013 issue, Pg 22 – News & Events sections. 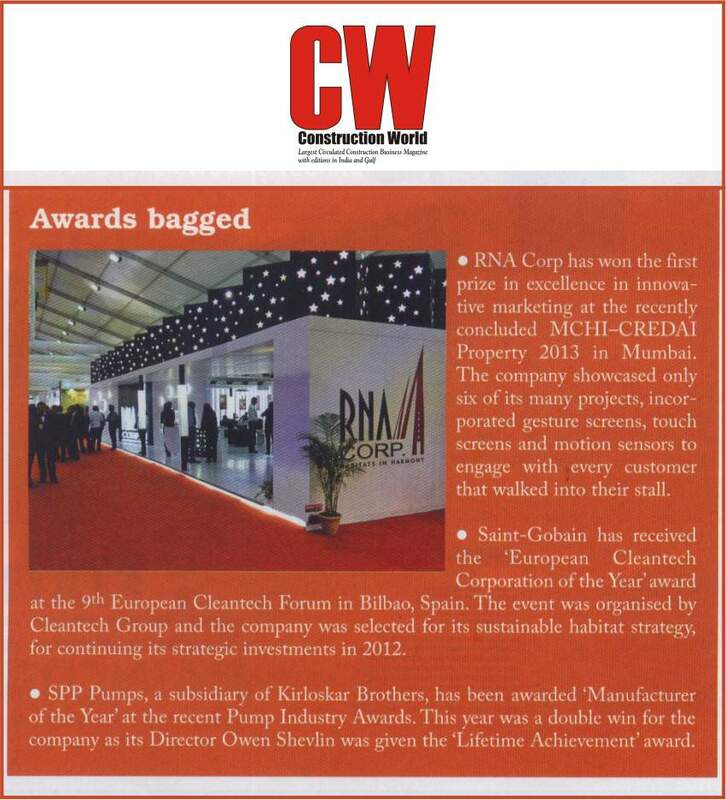 The media coverage is on the award won by RNA Corp at the recently concluded MCHI – CREDAI Property 2013. ← RNA Corp wishes Santosh Patade – Liaison, Shailendra Owhale – Electrical, Rajesh D. Waghela – Sales Administration, Vaibhav Rishi – Hostipality a very happy birthday…Cheers! !